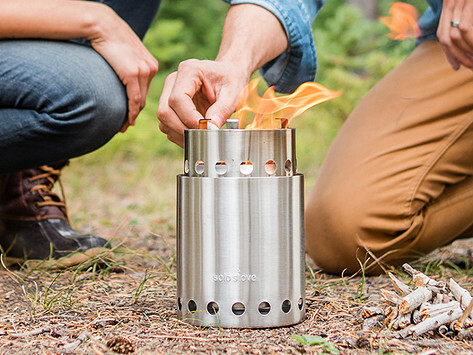 This efficient stainless steel stove is durable enough to last a lifetime. 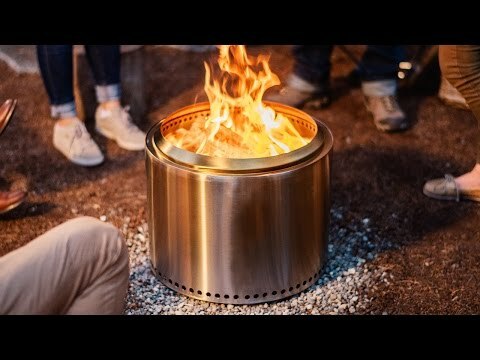 The Solo Stove Titan's double-chamber build circulates preheated oxygen to fuel the flame, burning it easily and with less smoke. It also features a cooking ring with an angled lip that increases efficiency by directing heat towards your pot minimizing heat loss. The Titan's smaller size is perfect for cooking food for two to four people. Dimensions: 5.1" diameter x 7.9"